- Extremely low in both particles and fibres. - Strong, solvent resistant (PET). - Sealed edges prevent particle or lint generation. - Pack and wash in class 100 environment. Notebook screen cleaning wipes removes dust, fingerprints, and smudges from notebook computer screens. Non-abrasive, non-streaking. 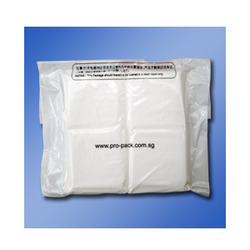 4" x 7" pre-moistened portable wipes, 24 individual packages. Safe for LCDs too. Removes dust, fingerprints and smudges from notebook computer, LCD flat panel and CRT screens. Non-abrasive, non-streaking. 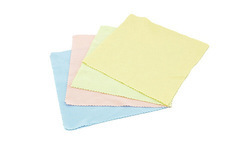 4" x 7" pre-moistened portable wipes, 24 individual packages. Benefits Pre-moistened cleaning wipes for Computer Screens, Laptop Screen, Smartphone Screen , iPad, Tablets, LED TV Keyboard, etc. Removes dust, fingerprints and smudges from notebook computer, LCD flat panel and CRT screens. Non-abrasive, non-streaking. Extremely low in both particles and fibers. Sealed edges prevent particle or lint generation.